An essential requirement for police cars across the world is their ability to go fast, coupled with body strength. Apart from the cars that are already in use, there are many which have been showcased as cop car concepts in different auto shows. CarTrade brings to you a list of vehicles that will leave you mesmerised, by the end of this article. First up are the Lamborghini Gallardo LP560-4 models, which are currently being used by the Italian police force in Rome. These cars are commonly used by the police for emergency situations on the Reggio Calabria highway, and this incredible super car is capable of a 325 kmph top speed. Interestingly, the vehicle is not just about sheer speed, but also about gadgets. It is fitted with an automatic number plate recognition system, which can track and send such information to the central control rooms. A forward looking camera can send live video feeds through GPS. In addition, the front trunk can be used for emergency medical purposes. 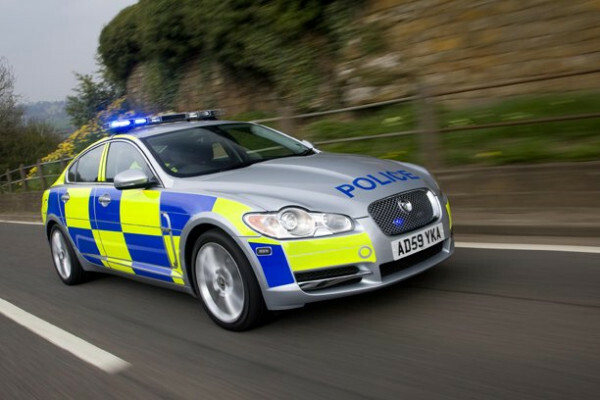 In the West Midlands region of England, exotic Jaguar XF sports cars are known to be patrolling the highways. These vehicles are fitted with 3.0 litre V6 diesel engines, capable of generating 274 bhp of peak power. With such an impressive engine, the Jaguar XF can accelerate from 0 to 100 kmph in just 5.9 seconds, attaining a top whack of 248 kmph. It is largely used for chasing high speed vehicles in Staffordshire, Mercia and the West Midlands. In terms of features, additional LEDs have been put in the front grille, bumper sides and rear clusters. The car also comes with a customised ‘Police Pack', along with many other gadgets. Jaguar XF is known to provide a good mileage and excellent residual value, for which it was selected. Exotic police cars of the world . 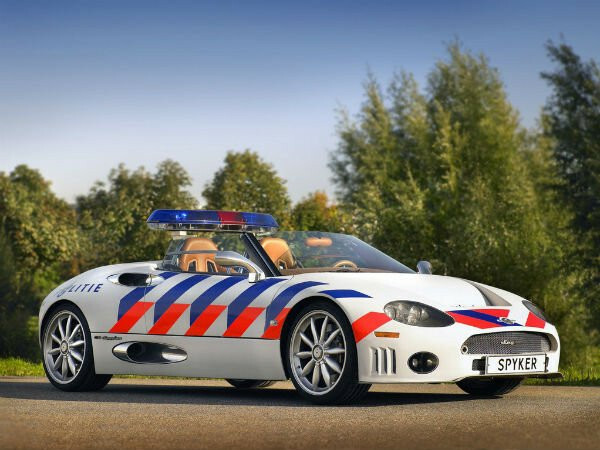 The Dutch police force is also known to be using a Spyder C8 super car, specially created for the Frevoland police in Netherlands. The cost of this car is a whopping Rs. 2.21 crore. Reportedly, this vehicle has an Audi-sourced 4.2 litre V8 engine, capable of generating a thunderous power output of 400 bhp, which can propel it to speeds up to 300 kmph. There are versions of this car with greater power as well, which are not being used by the Dutch. For the first time, Nissan GT-R, the legendary sports car from the Japanese auto manufacturer, has entered the police domain. 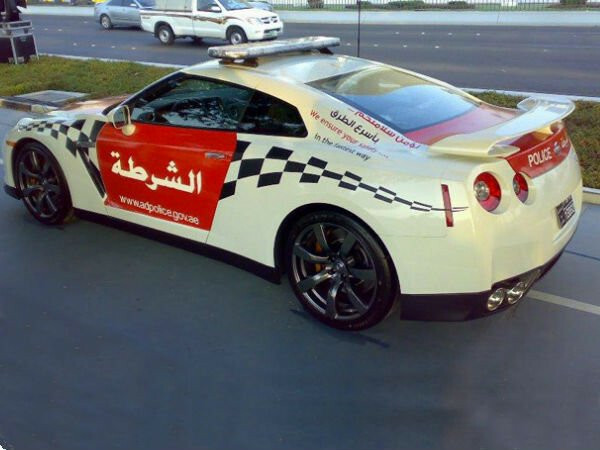 Painted with colours of the UAE flag, it is being used by the cops of Abu Dhabi. Not many modifications have been made to this vehicle, apart from the addition of a police siren. It is capable of sprinting from 0 to 100 kmph in just 3.8 seconds. The GT-R's engine produces a maximum power output of 478 bhp with 588 Nm of torque. When such powerful cars are used by the world's police forces, criminals have very few chances of escape. Let us hope that cars in this league get better with time and it would be interesting to see if Indian cops also get their fleet revamped with faster vehicles.